I have the best job in the world. No really, I do. I have a gift, and I have worked very hard to cultivate it and turn it into something that I’m both passionate about and pays the bills - not too many people get to say that about their job. If you’re thinking about getting into voice over work, what are you waiting for? There are so many wonderful things about this line of work. 1. You get to be creative. People were not meant to be stuck in office cube farms, pecking away at keyboards for 40 hours a week in a place completely devoid of inspiration or creativity. After all, it’s inspiration and creativity that have propelled humanity into forward progress and have put so much beauty into our lives. 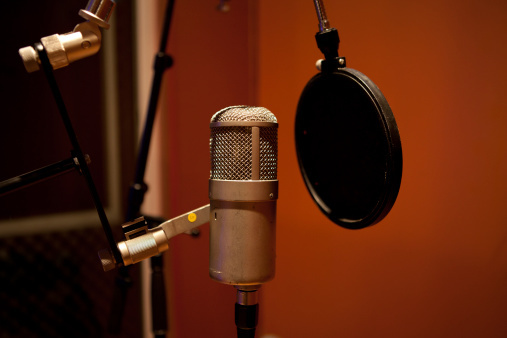 In the voice over industry, there are countless opportunities for creativity. Even if you’re doing a basic narration project, you can tap into your creative side and make it your own. 2. You are always learning and growing. 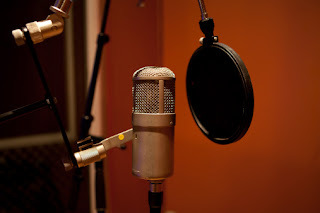 Voice over is an ever-evolving line of work, so you are always adapting to new situations. This forces you to be in learning mode 24/7, whether it’s discovering new technologies, developing new skills as an actor, or meeting new people and learning from them. This is such a benefit, in terms of both professional and personal growth. 3. You can work from home and according to your own schedule. Having the ability to work from home and the flexibility of designing your own schedule is amazing. Of course, we always have to answer to someone, whether it’s a client or an agent or whoever, but voice over is a great field to be in if you want to be your own boss. 4. You can be picky about what you work on. Your schedule isn’t the only thing you’re in charge of; you can also be choosy about what projects you take on (provided you have ample work, of course). Getting to decide what you do allows you to focus more on the stuff that you’re passionate about, and not take on jobs just to make a buck. 5. You touch the lives of countless people. This might sound a little cheesy, but you really do touch lives in VO work. Whether you’re hawking prescription drugs or doing truck commercials, you are making a connection with your audience, and there’s no telling what kind of impact that can have on their lives. Of course, finding success in voice over and enjoying these perks isn’t a matter of simply recording yourself reading something, sending it off to an agent, and BOOM! all of a sudden you’re rich and famous. There’s a lot of hard work involved, and dedication, perseverance, and patience are what really pays off in this industry. You focus on those, and you’ll find yourself saying, “Man, I have the best job in the world,” too. As they say, "If you enjoy what you do for a living it's not a job."